The Starving Artist is treated as a noble mythology by many in the Arts & Entertainment Industry who embrace it either consciously or unconsciously. 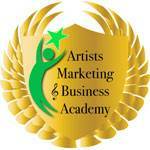 It is the Mission of the Artists Marketing & Business Academy to eliminate this term from our lexicon. Why? Because I think it stinks! There is nothing noble about needless suffering or deprivation! Because savvy entrepreneurial artists have become the norm. That is my dream! In order to create a profitable, successful and most importantly sustainable business you must learn the skills of money management and apply them every day to your business. If you think, “I’ll learn to manage money when I’ve got some money to manage,” you are missing the point. Learning to manage your money is HOW you’ll have more money to manage.